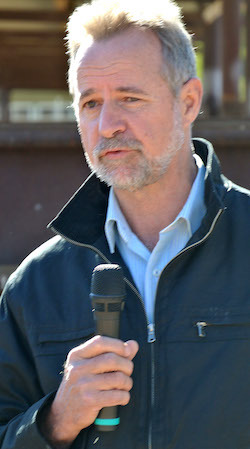 On October 13, 2001 the CLP’s number one Senate candidate Nigel Scullion dashed to London to revoke his British citizenship. Nominations for the November 10 federal election campaign were due to close on October 18, and Scullion sought to leave nothing to chance in order to comply with eligibility requirements for his candidacy. It was an embarrassing oversight for the CLP that topped a disastrous year of political intrigue and its first defeat at the Territory polls on August 18. It was symptomatic of a sloppiness that inevitably arises in circumstances when political parties engage in self-indulgent power games that divert attention from the provision of good government. Only two years earlier – in 1999 – the High Court ruled that Queensland One Nation senator-elect Heather Hill was ineligible for office because she held dual Australian-British citizenship. Obviously that lesson had failed to make an impression in the CLP, the party’s attention clearly distracted by its internal wranglings at the time. Nigel Scullion’s predicament was born (literally) of the fact of his birth in England where he lived for the first six weeks of his life. It’s exactly reminiscent of recent Queensland Greens senator Larissa Waters who held dual Australian-Canadian citizenship because of her birth in Canada where she lived for the first 11 months of her life; but in an extraordinary twist she was born only one week before Canadian law was changed revoking automatic conferral of citizenship to babies born to foreigners in that country. But for seven days Larissa Waters would have been perfectly entitled to remain as a senator. Waters’ resignation from the Australian Senate in July was just days after her colleague Scott Ludlam’s abrupt departure due to his New Zealand citizenship that triggered the crisis which now embroils federal politics. It’s a peculiarly Australian problem – dual citizenship doesn’t preclude citizens from holding political office in Britain, the US Congress, Canada or New Zealand. How has it come to this absurd situation? Briefly, when the Australian Constitution came into force in 1901, Australian citizenship didn’t exist – all Australian residents were described as British subjects along with other countries that comprised the British Commonwealth (there was, however, legislation specifically excluding people of colour from Africa, Asia and the Pacific, the forerunner of the infamous “White Australia” policy). It wasn’t until 1984 that the Hawke Government repealed the status of being a British subject in an amendment to Australian citizenship laws. This is why the difficulties over dual citizenship now afflicting Federal politics has arisen comparatively recently – it appears to be a “sleeper” issue that has caught us unaware. The timing is exquisite given the fine balance of power situation existing not just in the Senate (which is normal) but also in the Lower House – this crisis threatens to topple the Turnbull Government. Is this crisis as intractable as it seems? Dual citizenship is commonplace in Australia – as it is around the world – and a vast number of people with dual nationality have and continue to contribute enormously to society with no suggestion arising over disloyalty to the country. This includes politicians – dual citizenship isn’t an issue for state governments. However, that may not apply to Territory governments which derive their powers directly from Commonwealth legislation that in turn is subject to the Australian Constitution. Conceivably the citizenship status of some Territory politicians (ACT and the NT) may also come into question, too. The problems that have arisen now are a direct consequence of changes to citizenship laws, which have been altered more than 30 times since Federation. Which begs the question: cannot the relevant legislation be amended to avert the crisis over dual citizenship now underway? For example, is it possible to provide for a suspension of foreign citizenship for Federal politicians with dual citizenship during their time in office, deeming those members as exclusively Australian citizens for the duration of their time in service to the Parliament, and in such manner as to satisfy Section 44(i) of the Constitution? Perhaps this provision could be especially applicable to those members whose citizenship difficulties arise from circumstances outside their control or knowledge in their family backgrounds? Because if this suggestion does provide a solution it will help to reduce this constitutional mountain to the molehill it deserves to be. @ R Henry (Posted November 18, 2017 at 2:01 pm): You are wrong – most politicians caught up in this mire were apparently unaware they were dual citizens, they had assumed they were Australians only. In some cases they had become dual citizens because of being born overseas and with others they were born in Australia but had dual citizenship conferred via a parent. Therefore your claim that they have sworn “complete loyalty to more than one country at the one time” is a total nonsense. R. Henry: But in order to become Australia in the 70s you had to swear allegiance to the Queen and her heirs. I believe she is the head of Great Britain; is it not swearing allegiance to two countries? Like John Bell I think we need constitutional changes to make it very clear to all. As it is now we have leaders of this country who do not know were they stand. It is quite simple. One cannot swear complete loyalty to more than one country at the one time. @ Charlie Carter (Posted November 15, 2017 at 7:04 am): I think you are correct but there are also questions over how the Australian Constitution is interpreted, and that’s where a great deal of uncertainty arises until the High Court makes its decisions. We’ve just seen the situation where the Turnbull Government was caught out on the dual citizenship issue because of legal opinion that proved to be wrong. Again, I point out that the current difficulties over dual citizenship of Federal politicians appears to have arisen from changes in Commonwealth law, and the question I posed is whether this matter can be resolved in a similar fashion without contravening the Constitution? Alex, from my very limited understanding of constitutional law, any legislation that attempted to vary the meaning or application of the Constitution would be unconstitutional. It is my understanding that the only way out is a referendum to change the Constitution. @ Alex Nelson: Thank you. So an anomaly arises when considering the provisions of Section 41 applying to voters and the provisions of Section 44 applying to members of parliament. Taken separately they make sense, but considered together create a nonsensical situation that would delight the senses of the late political comedian John Clark and Sir Humphrey Appleby of Yes Minister. This means that a person of dual nationality who is eligible to vote in a state election cannot be prevented from voting in a Federal election. Section 44, which has five sub-sections, only defines conditions which preclude persons from “being chosen or of sitting as a senator or a member of the House of Representatives” and has nothing to do with eligibility of electors (voters). As explained in my article, it has been changes made to citizenship laws that have led to the problem where politicians with dual citizenship, especially of British or other Commonwealth countries, are ineligible to be in the Federal Parliament – a problem that didn’t exist when Australians and Commonwealth immigrants were defined as British subjects. Hats off to Alex Nelson. This is one of the more enlightening articles I have heard and read in the media on the constitutional history of dual citizenship that has left our governance paralysed. There have been countless arguments put in the media on all sides of this debate over the reasons we are in this mess and how to resolve it. However, a question that I have been asking – and to which I am yet to be given an answer – is this: why are politicians with dual nationality barred by s.44 from sitting in the parliament, when a growing proportion of Australia’s multicultural electorate, the voters who put them into the parliament, have dual citizenship themselves? Surely this is an anomaly, an absurd situation that demands constitutional change? Yes? No? Perhaps there are some constitutionally savvy Alicians out there who would care to comment?